Cast your mind back to 1996. Dolly the sheep is the first mammal to be cloned. Prince Charles and Princess Diana announce their divorce. England host the European Football Championships and, of course, the lads from Take That went their separate ways for the first time. In London, the average worker earned approximately £22,000 per year. Prices were relatively steady in the housing market following the recession in 2008, and the average house cost around £79,000 – four times a person’s annual salary. Fast forward to 2016 and things are significantly different. The average house price now stands at a whopping £488,908, a 518% increase from 1996, and first-time buyers can expect to pay a deposit of £96,000. Perhaps even more shocking is the correlation between the house price increase and the average wage increase. A person working in the capital today earns approximately £36,000, which is an increase of just 66% from 1996. Compare that to the 518% increase in house prices and it’s easy to see the disparity in affordability. Unsurprisingly, such a large rate of inflation over the past 20 years has impacted heavily on the city’s residents. In 2001, figures show that just 15% of Londoners rented their property, and the likelihood was that after a few years you’d be able to save up enough to afford a small flat. 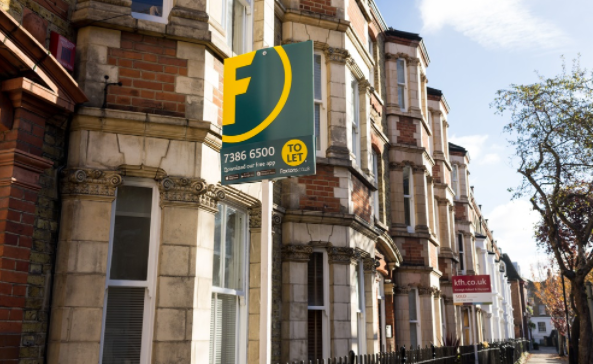 These days, approximately one in three of the capital’s residents rents, with many believing that purchasing a house in the capital is getting further and further out of reach. This has had a clear impact on London’s demographic: there is still a large influx of young professionals, but there are now more and more people in their 30s and 40s choosing to leave the capital in order to secure a more affordable property. How long the prices can keep rising for, only time will tell. It’s certainly a good time for those residents of London who have managed to pay off most, if not all, of their mortgage.